News Why should I invest in branding? This is a question I’m most often asked by potential clients, and a topic that I’m really passionate about. Most of our new business relationships don’t start with an approach about branding – but more often than not, “visual identity” rapidly becomes a key priority once its power is understood. 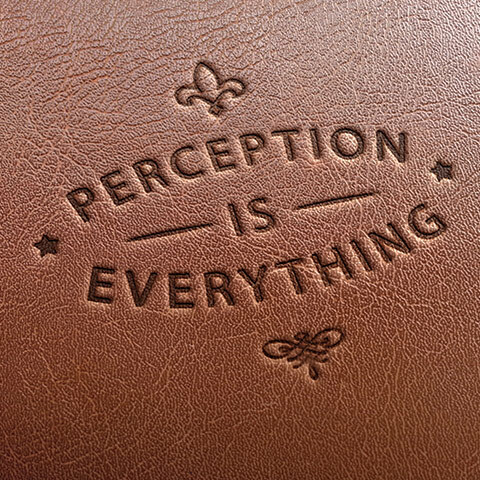 Let’s get back to basics – perception is everything. When you think about how your brand is performing, you’ve got to think big picture, you’ve got to think about where you’ve come from and where you’re going next. It’s not a short-term, or narrow-minded vision. A brand is more than a logo – it’s the cumulative impact of a number of visual elements that come together to create an impression of all that you stand for. These visual elements include your brand icon, tagline, typography, colour palette, ‘hero’ imagery and most importantly, your messaging – the way you describe ‘who you are’ and ‘what you have to offer’. When you bring these elements together in the right combination with a considered brand strategy – you have potentially already outpaced many of your competitors. After all, after some analysis, it is probably quite likely that many of your competitors do not invest heavily in branding, and don’t place much emphasis on the impact visual identity might have on their sales or reputation. Similarly, it could be considered a competitive advantage to ensure your organisation looks and sounds capable of delivering the services and products you proclaim to be good at, in the markets you operate in. Do not underestimate, the power of a strong brand. A strong brand is capable of securing market perception, and should support your overall business objectives and culture of your organisation. A strong brand is something to be proud of, it attracts clients, employees and partners – it’s a critical part of your business strategy. A brand should be capable of representing the credentials you own as much as it represents your future capability. Successful organisations seeking sustainable competitive performance value the impact of a competitive branding strategy. The team at Skye Gilligan Consulting is skilled in assessing brand performance against existing credentials. We are experts in redefining your corporate story and visual identity to ensure it aligns with your current and future potential. Learn more about our branding services, or contact us today for a complimentary brand assessment.